BitTorrent is undoubtedly the most efficient way to share large files on the Internet. The key to BitTorrent's widespread adoption can nevertheless not be exclusively attributed to its technical superiority. Much of BitTorrent's success lies in the fact that it is web-based, easy to monetize and indexed by Google. BitTorrent has emerged as the dominant filesharing protocol in recent years. Hundreds of millions of computers have a BitTorrent client installed and torrent sites are among the most frequently visited websites on the Internet. BitTorrent’s leading role can be partly attributed to its technical superiority, but there are other, perhaps even more defining factors that have propelled BitTorrent’s popularity. One could argue that Google has been one of the greatest contributers to its success. Unlike competing filesharing applications, BitTorrent has a dominant presence in search engine results. A site like isoHunt for example, has 13,500,000 million indexed pages on Google and The Pirate Bay has 3,760,000. All public torrent sites combined, there are probably over a billion torrent pages indexed by Google alone. It is needless to say that this overwhelming web presence has created a huge advantage for BitTorrent compared to P2P applications such as Limewire, that mostly rely on searches within the application. Over the years, millions of people have been introduced to BitTorrent through search engines like Google. We’re now at a point where torrent sites top the search results for nearly search phrases related to downloading movies and music. For example, a Google search for “Shutter Island download” returns 6 torrent sites in the top 10 results and no legal authorized download options. The same is true for nearly all similar searches. While Google and other search engines have helped BitTorrent popularity to a great extent, this could not have been possible without the people who developed the torrent indexes in the first place. That is where another key aspect of BitTorrent’s popularity, which also ties into the web-based nature, plays an essential role. Money. BitTorrent sites can generate some serious revenue, enough to sustain the site and make a decent living. In general, ad rates per impression are very low, but thanks to the huge amounts of traffic it quickly adds up. This money aspect has made it possible for sites to thrive, and has also lured many gold diggers into starting a torrent site over the years. Initially, most torrent sites were operated by students or hobbyists with a passion for filesharing and coding. Most of the larger sites today started out that way, but in the years that followed they were joined by groups of people that are mainly interested in the cash, not so much in offering a good service to their users. 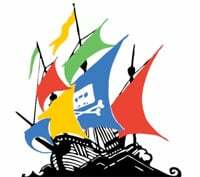 Despite this darker side, the possibility to monetize torrent sites has been essential to the success and the survival of BitTorrent. Without a return on investment, nobody would spend tens of thousands of dollars each month to keep a large site or tracker online. All in all it is fair to say that BitTorrent is as popular as it is right now simply because it’s web-based and findable through search engines. Although we don’t have any numbers to back it up, it would not be an outrageous claim to say that most of the people who use BitTorrent today were introduced to it through a Google search.